Recently, we at AFFotD painstakingly researched over 25 different long rolled sandwiches in America over the course of 11,000 words and four articles. We learned a lot during that delicious (though at times, excruciating) journey—mainly that it takes most wives and husbands about four hours of listening to a writer drunkenly talk about sub sandwiches before they take the kids and go spend a week at their parents’ place. While it’s all well and good to spend your time writing about submarine sandwiches and Italian beefs, when you try to list every type of sandwich in existence you end up scrapping the bottom of the internet to find anything at all that explains why “sarney” is in the dictionary as a type of sandwich, or why whiskey doesn’t always chase the demons away. After we ran ourselves ragged trying to write about every sandwich, we were pleased with our results, but swore an oath that we would never again take on such a daunting, impossible task. 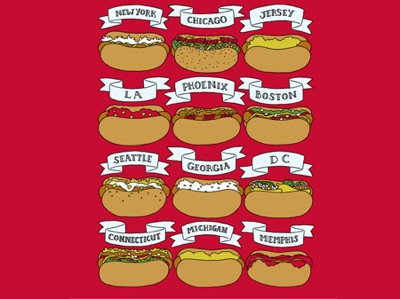 Unfortunately, we then celebrated the publication of the series by getting really drunk again and thinking of another article suggestion, and since we were hungry, we decided to talk about every kind of regional hot dog in America. God…goddamn it. We just will never learn. 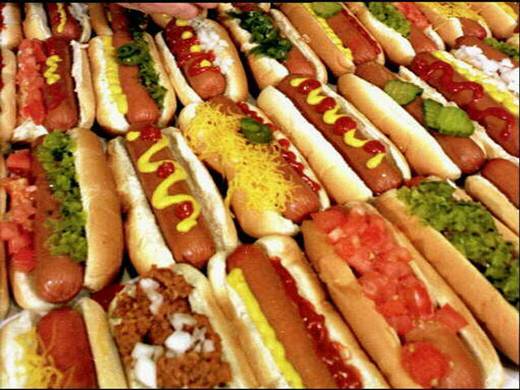 Anyway, it’s time to delve into the magical tube of nitrates that is the hot dog in all of its wondrous (and occasionally not-so-wondrous) incarnations. Hold onto your hats, America, here’s another multi-part, nation-sprawling series on unhealthy foods.